If you do a simple random sampling of a group of Indians who know how to drive, chances are a majority of them would have learnt driving on an Alto. Ever since Maruti Suzuki first launched it in September 2000, as many as 30 lakh units of this entry-level hatchback have been cumulatively sold in the country. The car’s unique selling points have been its remarkable fuel efficiency, peppy engine, attractive price and low maintenance. 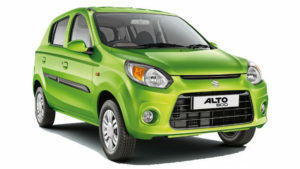 Add to that Maruti’s countrywide sales network—you can practically buy an Alto even if you live in the remotest town in India!